At noon yesterday (November 26), Jia Yueting, chairman and CEO of LeTV, issued Weibo, â€œhas returned to Beijingâ€, temporarily quelling all kinds of speculations about its whereabouts in the industry, and turning the attention of the outside world to the suspension for one month. The music network in the future. Recently, Jia Yueting introduced the overseas strategic layout to the reporter of â€œDaily Economic Newsâ€ through emails, and for the first time he responded positively to the financing issue in the rapid expansion of LeTV. In response to the intent of the overseas strategic layout, Jia Yueting recently responded to the â€œDaily Economic Newsâ€ reporter by email for the first time. â€œOverseas markets are a very important strategic step in the future of LeTVâ€™s ecological development. I think LeTVâ€™s ecology is not yet in the United States. Appeared, in addition to Apple has certain characteristics. At the same time, LeTV has a large number of intellectual property rights, can compete with American companies, and can achieve a differentiated competitive advantage." He believes that LeTV as a ancestor step, in the competition When opponents have not yet seen it, they quickly enter a seemingly unknown market and take the lead in layout. This is the key to the development of LeTV. Regarding the specific steps of LeTVâ€™s overseas strategy, Jia Yueting said that the first step is Southeast Asia, the second step is the American market, and the third step is the European market. The main product that undertakes LeTV's overseas strategy is LeEco's ecology. Currently, it is the first step. LeSpot has rapidly deployed a cloud video ecosystem on a global scale to replicate LeTV's cloud platform. In early August of this year, after the regulatory turmoil, LeTV re-laid a heavy bomb in the capital market, setting a new record for GEM refinancing, raising 4.5 billion yuan in capital. After the company's stock price rose briefly, it began to fall again. The industry believes that LeTV's financial difficulties are due to its ecological model can not achieve a virtuous circle. Faced with market suspicions, Jia Yueting disclosed, â€œWe are now doing additional issuance and have already been waiting for approval in the report. LeTVâ€™s operating efficiency is relatively high and its financing capacity is relatively poor. This is one of the reasons that hinder the rapid development of music as the ecology, so we Now it is also hoped that this shortcoming can be quickly reinforced and the real capital can be used to promote the rapid development of the business." According to Jia Yueting's description, LeTV after the online market, the total equity financing was only more than 700 million yuan, when the IPO equity financing 680 million yuan, total financing is about 730 million yuan. In other words, LeTV only used 100 million US dollars to achieve the scale of today, and LeTVâ€™s many competitors have already accumulated billions of dollars, and even several companies that have melted into hundreds of millions of dollars have closed down. LeTV's use of funds is very efficient. At present, LeTV's overseas strategy is also fully launched, and overseas strategic investment deployment and implementation require financial support. In order to realize the transplant and evolution of Letv's ecology overseas, it will inevitably require the investment of large-scale funds to open up the upstream and downstream of its industrial chain. In the past few months, Jia Yueting continued to solve the funds needed for the development of LeTV by stock pledge. As of July of this year, it had pledged 70.52% of the total number of LeTV.com's shares it held (31.17% of the total share capital of the company). In Jia Yueting's view, equity pledge is a phased strategy, not a long-term solution, because the cost of financing is relatively high. Jia Yueting revealed that, therefore, LeTV will gradually release the equity of some non-listed companies to do some equity financing. On the one hand, its personal investment pressure will not be so great. On the other hand, LeTV will quickly withdraw its own cash flow from unlisted businesses. And then to repay the loan, this is also a very important way. â€œYou will see that other business companies outside of our listed companies have begun to do some equity financing, including the recently completed LeTV, with a valuation of nearly 5 billion yuan. The next Le Sports, LeTV cloud computing, these A company with rapid growth will also do some equity financing.â€ In addition, Jia Yueting said that after a certain degree of unlisted business, either mergers and acquisitions, or listing, which is also an important way to repay funds in the future. At present, LeTV is still in suspension. The dynamic price-to-earnings ratio has dropped from a high of 135 times in March this year to 96.91 times. Institutional investors have made different choices for LeTV. The Invesco Great Wall and China Assets Fund continued to increase positions, while Castrol Premium and Guangfa Juru chose to reduce their holdings. As a result, the industry began to argue whether LeTV's market value was overvalued. However, according to industry sources, LeTV is an "exotic flower" of China's internet industry. Hardware competes with Skyworth and TCL, and counterattacks the TV industry; software directly PK Youku Tudou, iQiyi, etc., its valuation method can not simply refer to the above-mentioned enterprises. Instead, it should be considered comprehensively. The comprehensive considerations mentioned by the above-mentioned persons have returned to the vertical industry integration ecological chain of â€œplatform + content + terminal + applicationâ€. According to Jia Yueting, Netflix, a Nasdaq-listed company with only streaming media subscriptions and DVD rental business, had a market value of US$214.30 billion as of November 25. Therefore, there is still a lot of room for growth in Letv Ecology. A few months ago, LeTV launched a "super-partner" to establish offline stores, which caused hot debate in the industry. In fact, Internet companies represented by LeTV and Xiaomi (rolling information) technology have formed new e-commerce models. 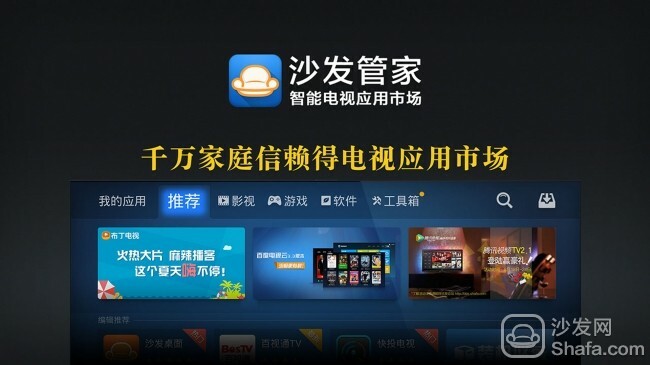 What is the purpose behind LeTV's establishment of a "super-partner" system to invade sales channels? 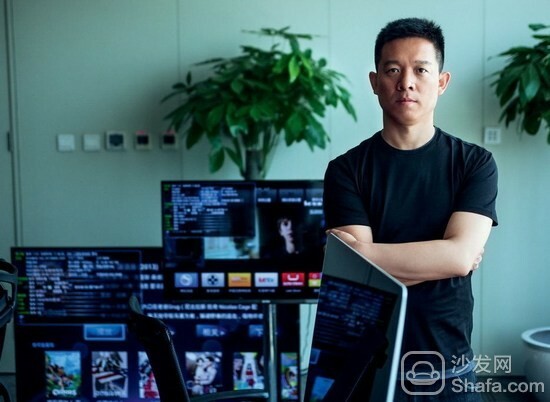 In this regard, Jia Yueting said that this year, China's TV industry sales are about 45 million to 47 million units, there are more than 40 million units sold online, and many users are non-electric business users. The Leshi Mall plays a central role, just as users shop on Tmall and Jingdong and become sticky. Leshi Mall has also achieved good results in resource matching and staff matching. However, there are still problems with consumption habits in the television field. It is for this reason that LeTV intends to establish online and offline O2O platforms through its â€œpartnershipâ€ strategy and sell through an experienced form. Wang Liyang, an internet analyst, told the Daily Economic News reporter that when the online sales channel dividends have become smaller and smaller, it is necessary to expand the traditional channels and sell them to â€œusers who do not understand the Internetâ€. Offline stores can not only generate sales. Blowouts can also quickly open the regional market. In general, offline channels, offline displays, and off-line service capabilities are regarded as the biggest advantages of traditional home appliance companies. Nowadays, LeTV is facing challenges in the field of â€œenteringâ€ traditional home appliance companies for many years.